There’s no question about it: the future of work is remote. 43 percent of Americans spent some time working remotely in 2016, leading to productivity gains for employees and cost benefits for employers. Successful startups such as Buffer have already shown that it is possible to thrive without having an office. Knowledge-work such as web design is ideal for remote work. Thanks to modern collaboration tools, a designer sitting in the Philippines can work just as well as one in Philadelphia. Designers get freedom and higher pay rates than the local market. Employers get access to a huge talent pool at lower rates (plus the cost savings on office space). It’s truly a win-win for everyone. So if you’re looking for remote and full-time web design jobs, where should you start? I’ll cover some popular remote-friendly job sites below. Alternatively, you can also reach out to a theme shop and help create a theme design. Operated by Tiny Boards, WeWorkRemotely calls itself the largest remote-only job board in the world with over 150,000 monthly users. Although it focuses primarily on coding and developing jobs in startups, there are still some great design positions on this site. Most jobs tend to be from funded tech startups. Regardless of their location, they have to meet one requirement: the job must be completely remote. An initiative by Workamajig, which makes project management software for agencies, this site boasts selective jobs posted by Workamajig’s agency customers. You can find a number of design jobs alongside project/resource management roles. Besides finding jobs, you can also create a profile and let employers find you. Since Workamajobs is closely tied to Workamajig, you can often land hard-to-find opportunities in creative agencies. This is a great platform if you want to find design jobs outside of conventional tech companies. 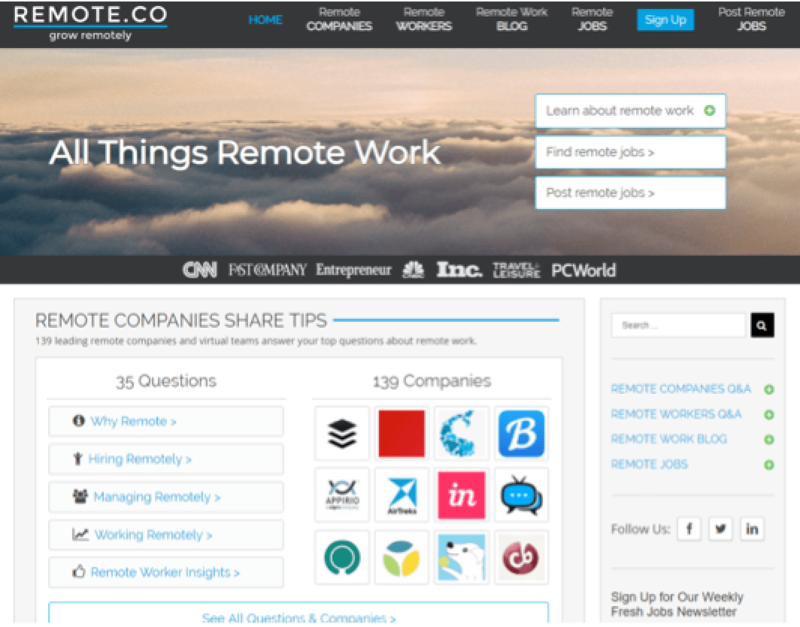 Remote.co calls itself the website for “all things remote work”. Besides a thriving job board, it also has a database of remote-only companies, a popular blog, and a community of remote workers. Unlike the other sites on this list, Remote.co’s job board has opportunities for both “traditional” roles (such as accounting and law) and tech-focused roles (design and development). You can filter jobs based on their duration (part-time, full-time) and target applicants (local, international) as well. Given this website’s focus, it would be criminal to omit WordPress’ own job board from this list. 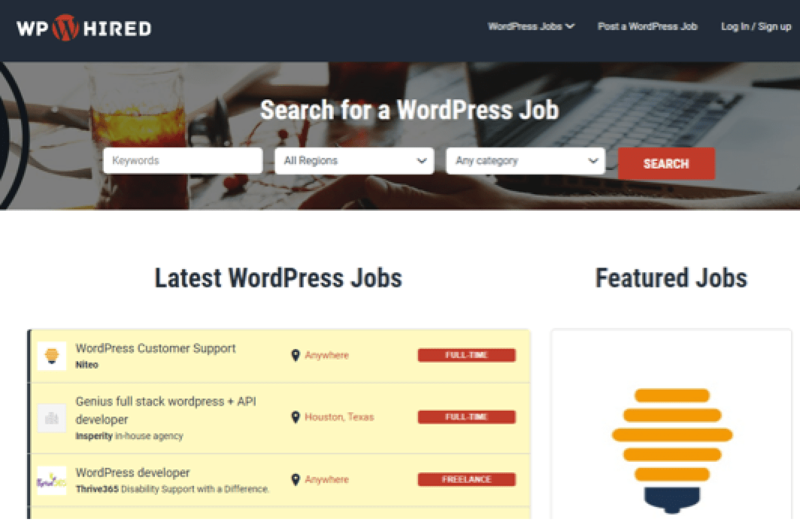 Although not as expansive as the rest of the entries on this list, WordPress’ job board does have a number of design jobs. Some are remote, some location-specific. Most require some sort of expertise in WordPress. New jobs get posted every few days on this board, so be sure to check in often for new openings. WPHired is not remote-only, nor is it a design-only job board. It is, however, one of the largest search engines for WordPress-focused jobs on the planet. From design and development to marketing and SEO, if there is a WordPress-related opening anywhere on the planet, WPHired probably has it. 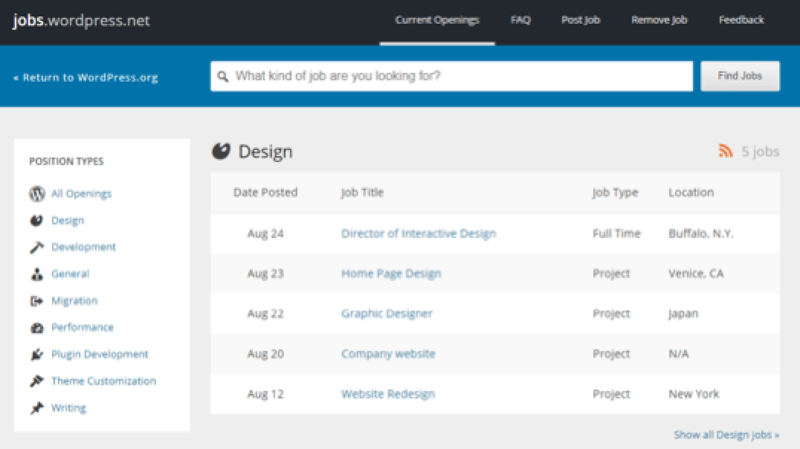 You can use the category filter to find design jobs. There are additional filters to sort jobs by duration (part-time/full-time) and location as well. If you’re serious about working as a WordPress-focused designer, this job board is a must on your bookmarks list. 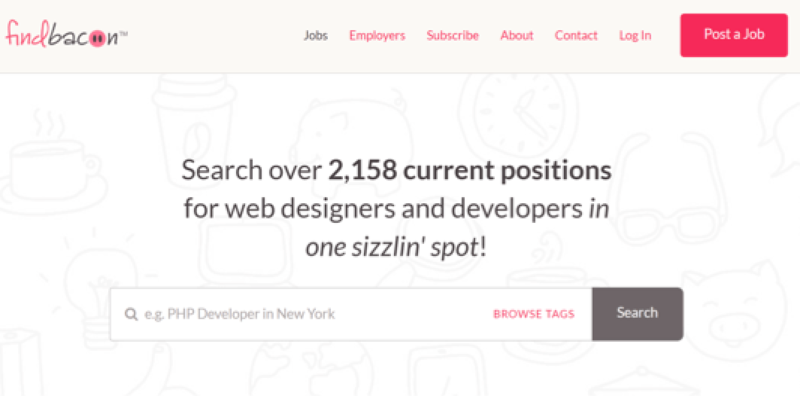 At any given time, FindBacon has over two thousand openings for designers and developers, making it one of the largest job boards of its kind online. Besides the sheer quantity of jobs, you can also use the ‘tags’ feature to filter jobs based on their expertise (UI/UX, Sketch, Photoshop, etc.). The one downside is that you can’t search for remote-only jobs. You’ll have to click through each job to figure out whether it’s on-site or remote. You probably know Awwwards as the premier platform for finding exceptionally well-designed sites. But besides its popular design awards, it also operates a little-known job board. Unlike a conventional job board, Awwwards lets designers create their own profiles that employers can search through. You can connect your portfolio and use the profile to apply directly to any of the dozens of jobs posted on the platform every month. While the job selection isn’t massive, it is definitely one of the highest quality that we’ve seen. The only thing missing is a feature to filter remote-only jobs. The AuthenticJobs website has been around for years and is still one of the most active job boards in the design/development category. 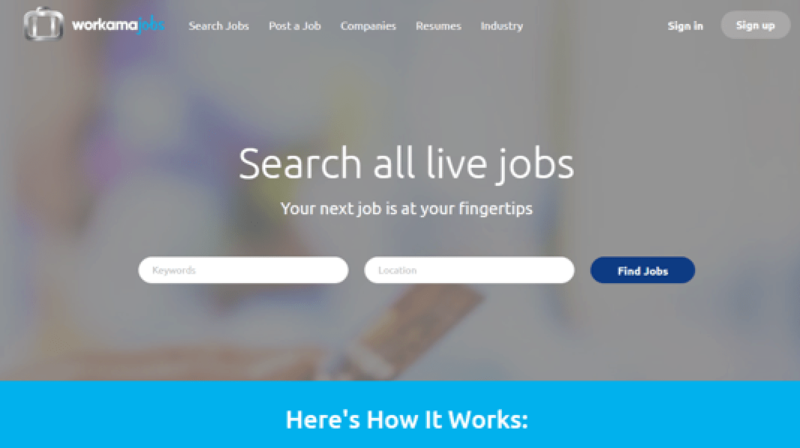 New jobs get posted every day and the site boasts a number of tools to filter out the right gigs. You can search by company-type (startup, studio, non-profit, etc. ), levels (lead, senior, mid-level, etc. ), skills, and location. These filtering tools, along with the sheer volume of jobs, make it one of the top stops in any design job hunt. You can’t really end any roundup of job boards without a mention of the biggest freelancing platform on the planet. 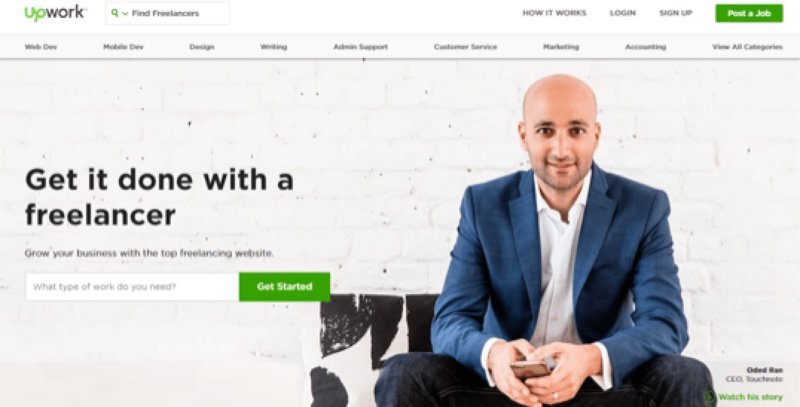 Formed after the merger of Elance and o-Desk, UpWork has tens of thousands of jobs covering nearly every skill you can imagine. Of course, a large number of these gigs are related to design. While most jobs tend to be freelance or part-time, you can sometimes find full-time design jobs on UpWork as well. 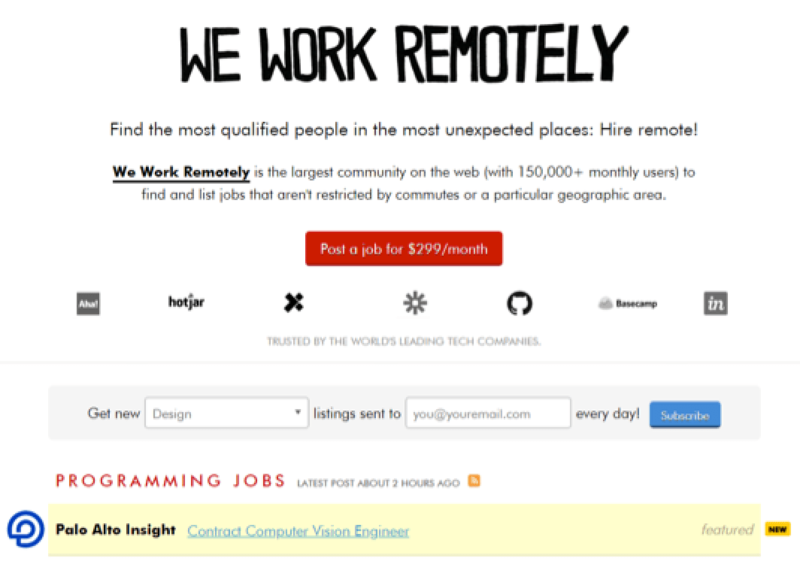 One added benefit of this site is that most jobs tend to be remote-only. While it shouldn’t be your first stop in a full-time, remote job hunt, it’s worth it to check-in from time-to-time to spot good opportunities. Finding remote design work is easier than ever before. Employers are more than happy to entertain designers who work remotely. Better collaboration and communication tools also mean that you can perform as well, or even better as an on-site designer. If you’re looking for design work in the near future, consider one of these job boards to find your next gig. Once you have worked for a few design sites, you can set up a WordPress website and start posting content around web designing to prove your expertise. Pulkit is a WordPress writer and web design, enthusiast. He loves helping people with website growth and content management. When he is not writing for tech sites or design blog, he can be found discovering new WordPress tools. The post Reliable Places to Find Full-Time and Remote Web Design Jobs appeared first on Torque.